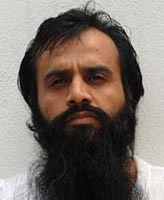 In September 2002, shortly after the arrest of al-Qaeda leader Ramzi bin al-Shibh in Karachi, Pakistan (see September 11, 2002), the New York Times will report: “Even before Mr. bin al-Shibh’s arrest, European officials warned that al-Qaeda appeared to have shifted much of its operations in Pakistan to Karachi. A year ago, 90 percent of communications and other links between suspected al-Qaeda members in Europe and individuals in Pakistan were traced to the city of Peshawar, near the Afghan border, a European law enforcement official said. As of this spring, roughly half of intercepted communications and other links were being traced to Karachi.” A European diplomat comments, “Obviously the brains and money for the terrorists have shifted from Peshawar to Karachi.” [New York Times, 9/15/2002] Presumably many of the communications to Peshawar involve al-Qaeda leader Abu Zubaida, considered a key communications hub and who has been monitored by a number of intelligence agencies, including the French, since at least 1998 (see October 1998 and After). Zubaida moves from his long-time base in Peshawar to the Pakistani city of Faisalabad after 9/11 and is captured there in March 2002 (see March 28, 2002). Al-Qaeda leaders Khalid Shaikh Mohammed and Ramzi bin al-Shibh are interviewed in Karachi around June 2002, a fact that is quickly shared with US intelligence (see June 14, 2002 and Shortly After). The militant group Ansar al-Islam is formed in Iraq. It is created from a merger of two Kurdish rebel groups and it is led by Mullah Krekar, who spends most of his time living in exile in Norway. Ansar al-Islam preaches a radical interpretation of Islam. 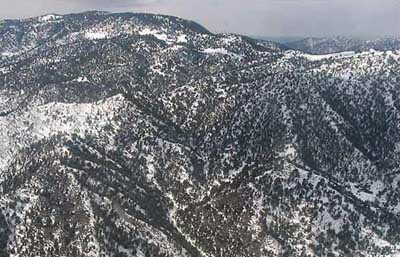 It controls a small area of only about a dozen villages in a mountainous region right next to Iraq’s border with Iran. [BBC, 3/22/2003] The US will later accuse the group of hosting militant leader Abu Musab al-Zarqawi and many al-Qaeda operatives. 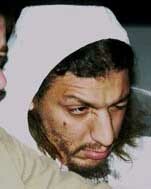 Omar al-Faruq, a Kuwaiti, who is said to be a key go-between for al-Qaeda and Jemaah Islamiyah. 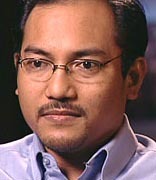 Al-Faruq and Dwikarna hosted al-Qaeda second-in-command Ayman al-Zawahiri when he visited Indonesia in 2000 (see June 2000). 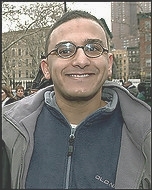 Mohamed al-Khatani. [Source: Defense Department]Saudi national Mohamed al-Khatani is captured at the Pakistani-Afghan border and transferred to US authorities. [Washington File, 6/23/2004] He tells his captors that he was in Afghanistan to pursue his love of falconry, an explanation no one takes seriously. [Time, 6/12/2005] His identity and nationality are at this time unknown. However, investigators will later come to believe he was an intended twentieth hijacker for the 9/11 plot (see July 2002). Superiors Not Consulted - Delaney disposes of the tape of his own volition, and without consulting his superiors. However, Mike McCormick, the New York Center manager, will later say that, had Delaney asked for his permission to destroy the tape, he would have given it, since he viewed the tape as only a temporary record. Others Not Notified - Delaney destroys the tape without anyone having listened to, copied, or transcribed it. He will not inform the New York Center’s management that he has destroyed the tape until he is asked about it in September 2003, following inquiries by the 9/11 Commission. Materials the New York Center prepares for submission to the Commission will even include a chain-of-custody index that mistakenly indicates the tape still exists. And prior to an investigation by the DOT’s Office of Inspector General in late 2003 and early 2004, apparently no one outside the New York Center will be aware of the existence of the tape, or of its destruction. Union Told Tape Would Be Destroyed - Delaney previously assured the local vice president of the National Air Traffic Controllers Association (NATCA) that he would “get rid of” the tape once the center’s formal accident package had been completed (see October 2001-February 2002). (This package has now been submitted to FAA headquarters (see November 2001-May 2002).) But Delaney will tell DOT investigators that he did not feel under any pressure from NATCA to destroy the tape. McCormick made a similar agreement with the local NATCA president, that the tape would be destroyed after written statements had been obtained from the controllers (see (Shortly Before 11:40 a.m.) September 11, 2001), but Delaney is unaware of this. Khalid Shaikh Mohammed (KSM) is allegedly first linked to the 9/11 plot around this time. According to an unnamed US counterterrorism official speaking to a reporter in June 2002 (see June 4, 2002), when KSM is first publicly identified as the 9/11 mastermind, “within three months” of 9/11, the FBI learns that KSM was involved in some financial transactions related to the funding of the 9/11 attacks. [Associated Press, 6/4/2002] KSM is also connected to the 9/11 hijackers in another way in November 2001 (see (November 2001)). In early September 2001, an Egyptian militant named Rabei Osman Sayed Ahmed moves from Germany to Spain. By December, Spanish officials open an investigation about him after noticing he is in frequent contact with other Islamist militants. One month later, Spanish investigators notify German officials that they have Ahmed under surveillance and request information about his background. Ahmed apparently is aware he is under surveillance and tries to keep a low profile. [Washington Post, 11/14/2004] But through him, investigators led by judge Baltasar Garzon begin monitoring other militants he meets. In May 2002, they start tapping the phones of Fouad el Morabit and Basel Ghalyoun. In June, they realize Ahmed is in contact with Serhane Abdelmajid Fakhet, who has already been under surveillance since 2000 (see October 19, 2001). They also learn at some point that he is in contact with the brothers Moutaz and Mouhannad Almallah. Investigators lose track of el Morabit a near the end of 2002 when he changes phones. They also lose track of Ghalyoun aroun the same time because his conversations apparently are not interesting enough. Ahmed also moves to France. [El Mundo (Madrid), 7/31/2005] However, in early 2003, investigators begin monitoring an apartment where all the suspects mentioned live or meet (see January 4, 2003). All of them will later be accused of being key players in the 2004 Madrid train bombings (see 7:37-7:42 a.m., March 11, 2004). 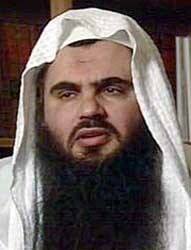 Abu Qatada. [Source: Public domain]Al-Qaeda religious leader Abu Qatada disappears, despite being under surveillance in Britain. He has been “described by some justice officials as the spiritual leader and possible puppet master of al-Qaeda’s European networks.” [Time, 7/7/2002] He supposedly escapes from his house, which the police are monitoring, in a minivan with his heavily pregnant wife and four children. [London Times, 10/25/2002; O'Neill and McGrory, 2006, pp. 108] Qatada had already been sentenced to death in abstentia in Jordan, and is wanted at the time by the US, Spain, France, and Algeria as well. [Guardian, 2/14/2002] In October 2001, the media had strongly suggested that Qatada would soon be arrested for his known roles in al-Qaeda plots, but no such arrest occurred. [London Times, 10/21/2001] In November, while Qatada was still living openly in Britain, a Spanish judge expressed disbelief that Qatada hadn’t been arrested already, as he has previously been connected to a Spanish al-Qaeda cell that may have met with Mohamed Atta in July 2001. [Observer, 11/25/2001] Time magazine will later claim that just before new anti-terrorism laws go into effect in Britain, Abu Qatada and his family are secretly moved to a safe house by the British government, where he is lodged, fed, and clothed by the government. “The deal is that Abu Qatada is deprived of contact with extremists in London and Europe but can’t be arrested or expelled because no one officially knows where he is,” says a source, whose claims were corroborated by French authorities. The British reportedly do this to avoid a “hot potato” trial. [Time, 7/7/2002] A British official rejects these assertions: “We wouldn’t give an awful lot of credence [to the story].” [Guardian, 7/8/2002] Some French officials tell the press that Qatada was allowed to disappear because he is actually a British intelligence agent. [Observer, 2/24/2002] It appears that Qatada held secret meetings with British intelligence in 1996 and 1997, and the British were under the impression that he was informing on al-Qaeda (though there is disagreement if he was misleading them or not) (see June 1996-February 1997). Qatada will be arrested in London on October 23, 2002 (see October 23, 2002). The Holy Land Foundation is shut down and its assets are seized. Holy Land claimed to be the largest Muslim charity in the US. It claimed to raise millions for Palestinian refugees and denied any support for terrorism. In justifying the move, the US government presents evidence of ties between the Holy Land and Hamas. Much of this evidence dates back to 1993; the Associated Press titles a story on the closure, “Money Freeze A Long Time Coming.” [Associated Press, 12/5/2001] Holy Land offices in San Diego, California; Paterson, New Jersey; and Bridgeview, Illinois, are also raided. [CNN, 12/4/2001] The indictment says Holy Land has been “deeply involved with a network of Muslim Brotherhood organizations dedicated to furthering the Islamic fundamentalist agenda espoused by Hamas.” [Washington Post, 9/11/2004] Holy Land is represented by the powerful law firm of Akin, Gump, Strauss, Hauer & Feld. Three partners at Akin, Gump are very close to President Bush: George Salem chaired Bush’s 2000 campaign outreach to Arab-Americans; Barnett “Sandy” Kress was appointed by Bush as an “unpaid consultant” on education reform and has an office in the White House; and James Langdon is one of Bush’s closest Texas friends. [Boston Herald, 12/11/2001; Washington Post, 12/17/2001] The leaders of Holy Land will be charged with a variety of crimes in 2002 and 2004 (see December 18, 2002-April 2005). It is reported that in the wake of 9/11, Attorney General John Ashcroft has prevented the FBI from investigating gun-purchase records to discover if any of the hundreds arrested or suspected since 9/11 had bought any guns. The White House supports him, saying they have no intention of changing the law to clarify the FBI’s ability to search gun-purchase records. [CNN, 12/6/2001; New York Times, 12/6/2001] A spokesman for The International Association of Chiefs of Police, the largest group of law enforcement executives in the US, says, “This is absurd and unconscionable. The decision has no rational basis in public safety. It sounds to me like it was made for narrow political reasons based on a right-to-bear-arms mentality.” [New York Times, 12/6/2001] There were reports that the 9/11 hijackers on at least Flight 11 and Flight 93 used guns in the hijacking (see (8:20 a.m.) September 11, 2001 and 9:27 a.m. September 11, 2001). Vice President Cheney says in an interview on Meet the Press, “Well, what we now have that’s developed [recently]… was that report that’s been pretty well confirmed, that [Mohamed Atta] did go to Prague and he did meet with a senior official of the Iraqi intelligence service in Czechoslovakia last April, several months before the attack. Now, what the purpose of that was, what transpired between them, we simply don’t know at this point. But that’s clearly an avenue that we want to pursue.” [Washington Post, 12/9/2001] The CIA already believes the reports of Atta visiting Prague are incorrect (see December 2001). 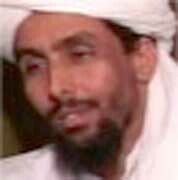 Zacarias Moussaoui is criminally indicted for his role in the 9/11 attacks. If he is found guilty, he could be sentenced to death. [MSNBC, 12/11/2001; Associated Press, 12/12/2001] Moussaoui has admitted to being a member of al-Qaeda, but while he has been involved in militant activity, many have expressed doubts that he was involved in the 9/11 plot. 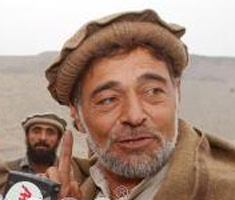 Haji Zaman Ghamsharik speaking to reporters on December 16, 2001. [Source: Chris Hondros / Getty Images]US-allied warlord Haji Zaman Ghamsharik makes radio contact with some al-Qaeda commanders in Tora Bora and offers a cease-fire so bin Laden can negotiate a surrender. The other US-allied warlord, Hazrat Ali, is also in secret talks with al-Qaeda and acquiesces to the deal. The US military is reportedly furious, but the fighting stops for the night. 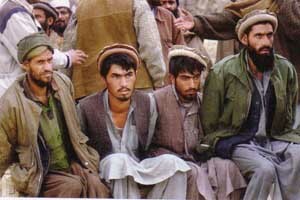 US intelligence later concludes that about 800 al-Qaeda fighters escape Tora Bora that night during the cease fire. [New York Times Magazine, 9/11/2005] Other rival Afghan commanders in the area later accuse Ghamsharik of accepting a large bribe from al-Qaeda so they can use the cease fire to escape. [New York Times, 9/30/2002] There are other accounts that the US-allied warlords helped instead of hindered al-Qaeda (see Mid-November 2001-Mid-December 2001). Britain’s highest court rules that three alleged al-Qaeda operatives can be extradited to the US to face charges of involvement in the 1998 African embassy bombings (see 10:35-10:39 a.m., August 7, 1998). The three, Khalid al-Fawwaz, Ibrahim Eidarous, and Adel Abdel Bary, were arrested in London in late 1998 and early 1999 (see September 23, 1998-July 12, 1999). But the Washington Post reports that the three “can bring still more appeals in Europe that could delay any US trial for months or even years.” [Washington Post, 12/18/2001] In 2002, Eidarous is sent to a mental hospital after psychiatrists say he is mentally ill. In July 2004, he is set free in Britain because he has been diagnosed with leukemia. An insider at his hospital says: “Doctors know that his cancer is well advanced and he probably does not have that long to live. Many here were shocked he has been released though. He is wanted by the FBI for one of the worst terrorist atrocities in history.” [Mirror, 7/22/2004] There have been no reports of him dying since. In 2005, the Times of London will report that al-Fawwaz may be extradited to the US soon. His lawyers are said to be making “last ditch” appeals to delay his extradition. [London Times, 8/31/2005] But as of 2008, neither he nor Abdel Bary have been extradited to the US or charged in Britain. 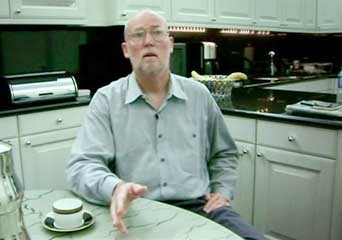 “I was thinking that the fire from the gas in the plane would melt the iron structure of the building…” [US Department of Defense, 12/13/2001 ] The jet fuel spilled from the planes burned up about 10 minutes after impact (see 8:57 a.m. September 11, 2001), the towers’ structure did not melt (see September 12, 2001-February 2002), and the towers were not made of iron, but steel. [National Institute of Standards and Technology, 9/2005, pp. 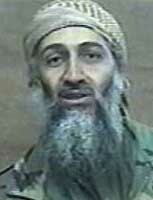 6] Bin Laden had studied civil engineering at university and had experience as a construction contractor. [Burke, 2004, pp. 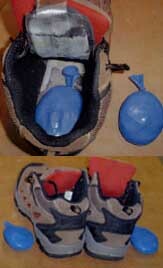 47; Laden, 2005, pp. xii-xiii] It is unclear why he would think the towers were made of iron. 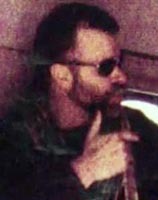 “We did not reveal the operation to [the brothers who conducted the operation] until they are there and just before they boarded the planes.” [US Department of Defense, 12/13/2001 ] All the hijackers purchased tickets for the 9/11 flights about two weeks in advance (see August 25-September 5, 2001). The six plot leaders had flight training (see July 6-December 19, 2000, (June 28-December 2000), January-February 2001, and May 5 and 10, 2000), and some of the other 13 are thought to have assisted with target surveillance and casing flights (see May 24-August 14, 2001, August 1, 2001, June 2001 and August 2001). “Those who were trained to fly didn’t know the others. One group of people did not know the other group.” [US Department of Defense, 12/13/2001 ] The opposite is true: the pilots intermingled with the muscle and the teams for the various planes mixed (see April 23-June 29, 2001, April 12-September 7, 2001, and June 27-August 23, 2001). 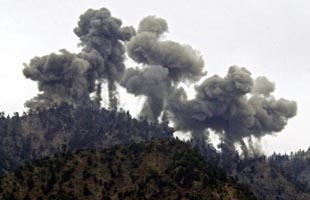 Al-Qaeda top leaders Osama bin Laden and Ayman al-Zawahiri escape from the Tora Bora battle north to a remote province in Afghanistan. In the years just after the Tora Bora battle, the conventional wisdom will be that bin Laden escapes across the nearby border into Pakistan. A 2006 book by Ron Suskind will be the first to publicly make the argument that bin Laden actually stays in Afghanistan and heads to even more remote regions north of Tora Bora, starting around December 15, 2001 (see December 15, 2001). After bin Laden is killed in May 2011 (see May 2, 2011), US officials will reveal that this ‘go north’ theory has become the new conventional wisdom. According to the Washington Post: “US interrogators later learned from Guantanamo detainees that bin Laden had actually taken a more daring route, to the north toward Jalalabad, right past the approaching US and British Special Forces and their Afghan allies. After resting there, he proceeded on horseback on a several days’ journey into Konar province, in Afghanistan’s far northeast.” An unnamed US official will tell the Post: “It’s still unclear who bribed who and who talked to who, [but] bin Laden got out. Knowing the land, knowing the people who could direct you, he was able to get out to Konar [and into valleys] that no one has subdued… places the Soviets never pacified.” Al-Zawahiri takes the same route, perhaps traveling with bin Laden. [Washington Post, 5/6/2011] Bin Laden and al-Zawahiri will stay in Konar for months before finally moving to Pakistan (see Late December 2001-Late 2002). On December 17, 2001, Hamas and Palestinian Islamic Jihad release a joint manifesto declaring, “Americans are the enemies of the Palestinian people [and] a target for future attacks.” The next day, Hamas leaders issues a statement declaring that “Americans [are] now considered legitimate targets as well as Israelis.” So far, Hamas has not followed through with this threat. However, in February 2003, top Hamas leader Sheikh Ahmed Yassin will called on Muslims to “threaten Western interests and strike them everywhere” in the event of a war in Iraq, which will begin one month later. [National Post, 10/18/2003] Despite these threats, known Hamas operatives will continue to live openly in the US. For instance, the US officially declared Mohammad Salah a terrorist in 1995 (see June 2-5, 2003), the FBI knew he was living openly in Chicago since late 1997, and yet he will not be indicted for crimes committed in the early 1990s until 2004 (see August 20, 2004). Yazid Sufaat. [Source: FBI]Yazid Sufaat is arrested in Malaysia. 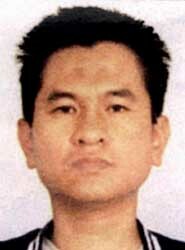 Sufaat is a Malaysian who owns a condominum in Kuala Lumpur, Malaysia, where a January 2000 al-Qaeda summit was held (see January 5-8, 2000). He also graduated in 1987 from a California university with a degree in biological sciences. 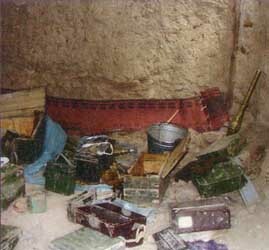 According to interrogations of Khalid Shaikh Mohammed, Hambali, and other captured prisoners, Sufaat was given the lead in developing chemical and biological weapons for al-Qaeda, but he apparently had been unable to buy the kind of anthrax he wanted for an attack. Zacarias Moussaoui, Mohamed Atta, and other al-Qaeda operatives appeared to have had an interest in crop dusters before 9/11. It has been suggested that this interest served to further Sufaat’s biological weapons plot. This would especially make sense in the case of Moussaoui, since he stayed with Sufaat in Sufaat’s Malaysia apartment for two months in late 2000 (see September-October 2000). 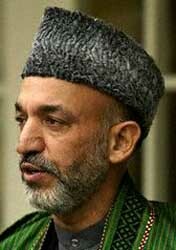 The US will only be able to directly interview Sufaat on one brief occasion, in November 2002. [Washington Post, 3/28/2003; CNN, 10/10/2003; Chicago Tribune, 12/7/2003] Sufaat will be released in 2008. The Malaysian government will never try or charge him (see December 4, 2008). 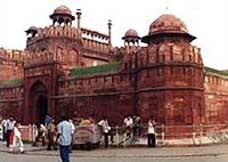 The Red Fort in Delhi, India, shortly after being attacked in 2000. [Source: BBC]The US officially blocks the assets of Lashkar-e-Toiba (LeT), a Pakistani militant group, and Ummah Tameer-e-Nau (UTN), a Pakistani charity front. [White House, 12/20/2001] LeT has frequently attacked targets in India with the tacit support of the Pakistani government. For instance, LeT took credit for an attack on the Red Fort in Delhi in 2000 that killed three people. [BBC, 3/17/2006] But the US fails to mention Pakistani government support for LeT, particularly long-time support by Gen. Pervez Musharraf, who is now president of Pakistan (see 1993-1994). The Pakistani government officially bans LeT one month later. But the group changes its name to Jamaat-ud-Dawa and continues operating, though less openly than before. 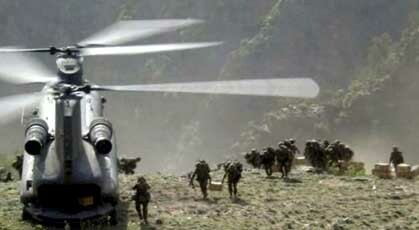 It is said to be closely linked to al-Qaeda. 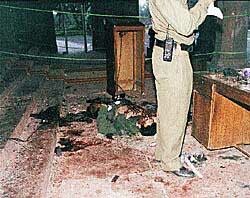 The US action comes just days after LeT was implicated in an attack on the Indian parliament (see December 13, 2001). [Asia Times, 6/4/2004] India will blame the group for major attacks in 2003 and 2005 that each kill about 60 people. 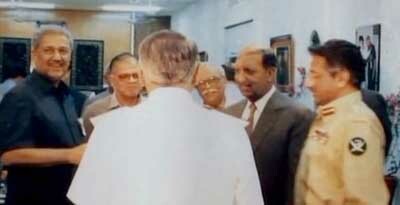 [BBC, 3/17/2006] UTN was founded by Pakistani nuclear scientists (see 2000). The CIA was aware before 9/11 that UTN had proposed selling a nuclear weapon to Libya (see Shortly Before September 11, 2001), and that two UTN scientists met with Osama bin Laden (see Shortly Before September 11, 2001), so it is not known why the US waited until now to act against it. The FBI reveals that it knows what is on the Flight 93 black boxes, but refuses to release the transcript or audio recording. Families of the victims have requested to hear the cockpit voice recording, but the FBI says, “[W]e do not believe that the horror captured on the cockpit voice recording will console them in any way.” [CNN, 12/21/2001] Accuracy in Media immediately submits a Freedom of Information Act request to have the transcript released, but the FBI turns it down because a release “could reasonably be expected to interfere with enforcement proceedings.” The Philadelphia Daily News asks, “What enforcement proceedings?” and suggests the FBI may be covering up a shootdown of the plane. [Philadelphia Daily News, 12/28/2001] The recordings are later played, but only in private to victims’ relatives and the 9/11 Commission. 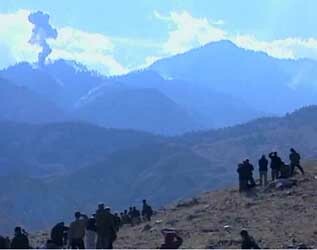 The media reports that Osama bin Laden died of lung problems in the mountains of Tora Bora in mid-December. The report, which quotes a Taliban leader who allegedly attended bin Laden’s funeral, is originally published in the Pakistan Observer, and then picked up by Fox News. 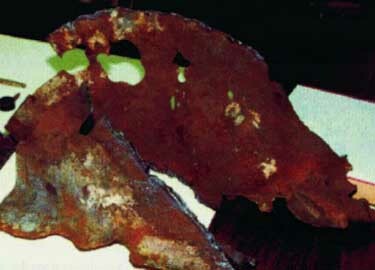 According to the Taliban leader, bin Laden was suffering from a serious lung complication and succumbed to the disease. He also claims bin Laden was laid to rest honorably near where he died and his grave was made as per his Wahabi belief. About 30 close associates of bin Laden, including his most trusted and personal bodyguards, his family members, and some “Taliban friends,” attended the funeral. A volley of bullets was also fired to pay final tribute to him. The Taliban leader claims to have seen bin Laden’s face before the burial and says, “he looked pale… but calm, relaxed, and confident.” When asked where bin Laden was buried, the leader says, “I am sure that like other places in Tora Bora, that particular place too must have vanished.” [Fox News, 12/26/2001] A man thought to be bin Laden will continue to issue media statements after his alleged death (see, for example, November 12, 2002). 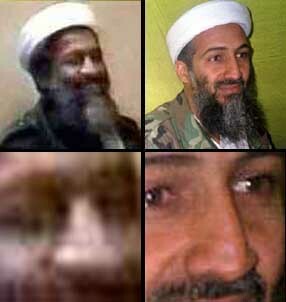 At the time this report becomes public, other accounts suggest bin Laden is alive, has just escaped from the battle of Tora Bora, and is fleeing pursuers (see December 8-14, 2001).